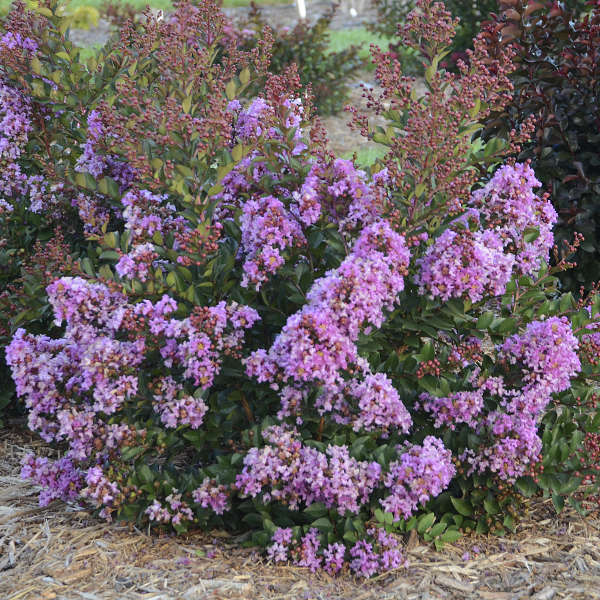 Lagerstroemia 'Bubble Tea' PP29509 | Walters Gardens, Inc. 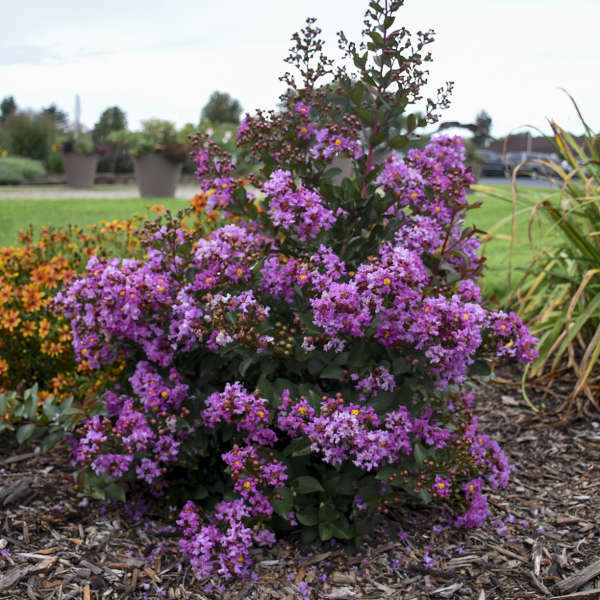 This crapemyrtle will have attractive, semi-glossy, medium green foliage for you to enjoy all summer long. 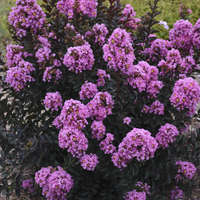 In late summer, the round habit explodes with flower buds that bubble up to the top of the shrub with enormous, triangular-shaped bright lilac purple flower clusters. Green seed pods follow the flowering performance. 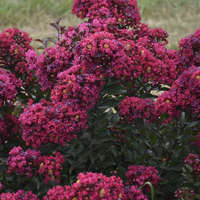 Best results come from planting in a warm enviroment in late spring. Crops planted too early grow slow and don't perform as well. 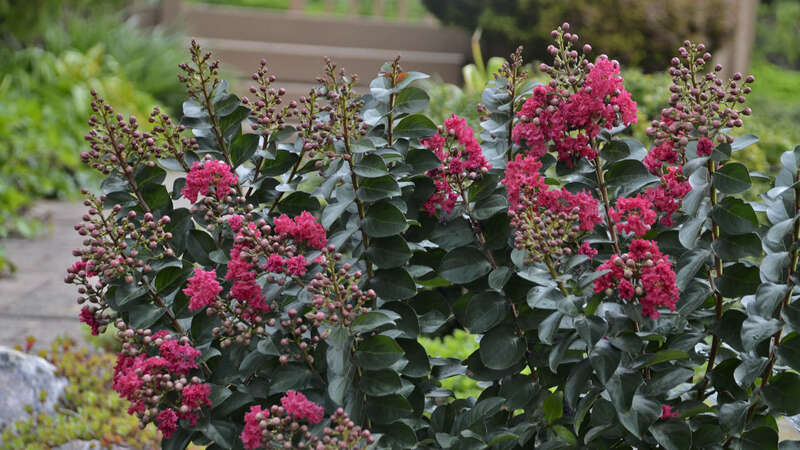 Lagerstroemia are moderate feeders. 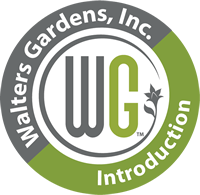 Use 100-125ppm Nitrogen constant liquid feed at every watering or incorporate slow release fertilizer at a rate of 1.0-1.5 lbs. per cubic yard of growing media. The recommended EC rate is 2.0-3.0 using the pour-through method. 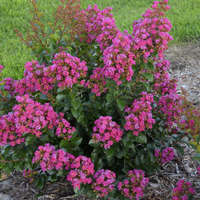 The diseases which typically affect Lagerstroemia include powdery mildew and root rot. Scout regularly for aphids and white flies. 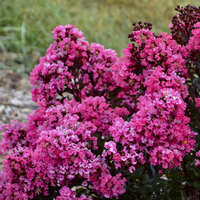 Due to their southern heritage, Crapemyrtles are a heat loving plant and will put on the most growth in the heat of summer. 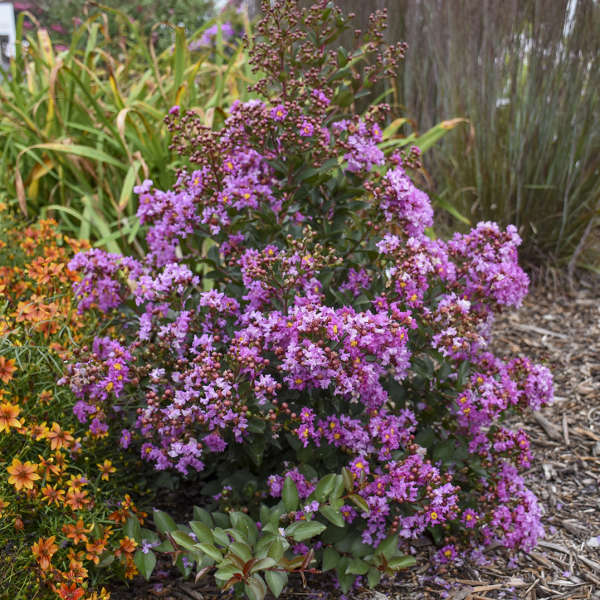 If you are starting from a 30ct plug, plant in spring or summer in a 2-Gal or 3-Gal pot and it should finish in 12-14 weeks. With a bare root product, best results come from planting in a warm environment in late spring. 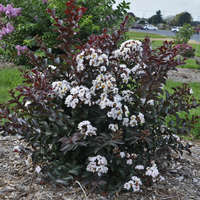 Use a well-drained media of bark, perlite, and peat with a pH of 5.5-6.0 in a container or 5.0-6.5 in the ground. 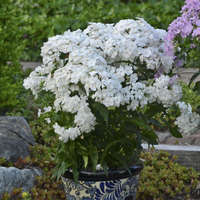 For potting soil use well-drained media of bark, perlite, and peat. 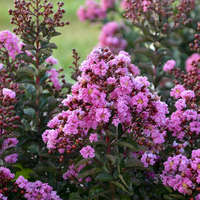 Lagerstroemia is very drought tolerant in the landscape and do not require a lot of water. After initial planting, be sure to give the plants a thorough drench. Plant crown even with soil line. 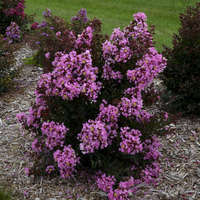 These plants tend to be compact in the northern growing regions. No need for PGR's. A soft pinch 2 weeks after transplant helps increase lateral branching. 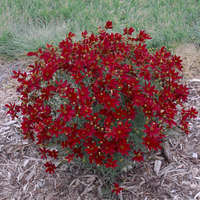 Plants grown from bare root do not require pinching. 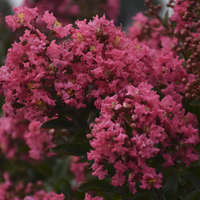 Lagerstroemia is a sun-loving plant. 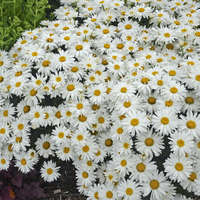 Grow this crop under clear plastic indoors with high light levels or in direct sunlight outdoors. 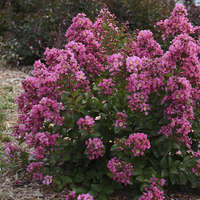 If they are not grown under proper lighting conditions, the plants may become legging and sparse and will not flower as well. 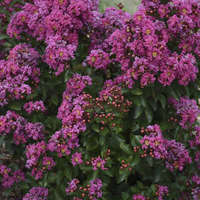 Lagerstroemia grow very large in production. 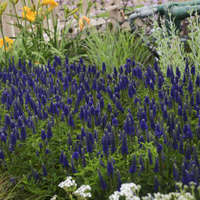 It is critical to space them well to grow well-rounded, uniform finished plants. Good spacing also allows for better airflow, preventing foliar diseases. Bare root is the best option to achieve a full plant in a short crop time. 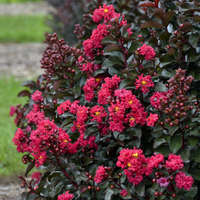 Grade 1 bare root plants provide excellent branching with no pinching required. 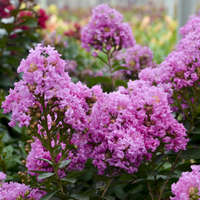 It is best to wait until longer days and good sunlight are available before planting Lagerstroemia. 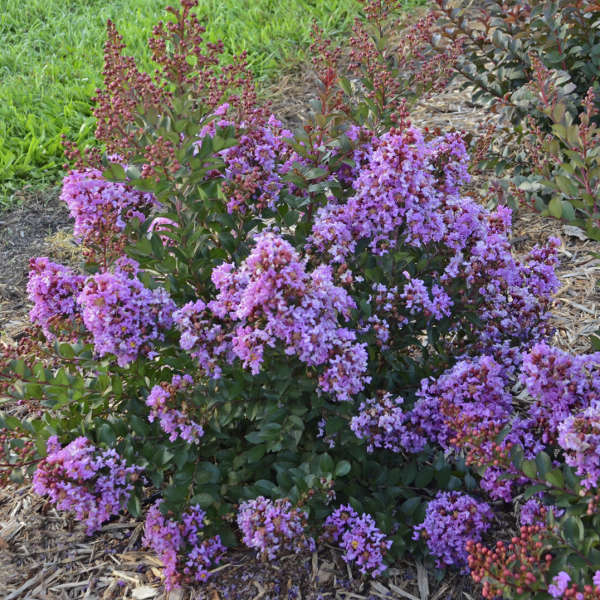 We recommend planting in late spring for best results.